In 2016, Ryan Palmer didn’t miss a putt from 3ft on the tour! 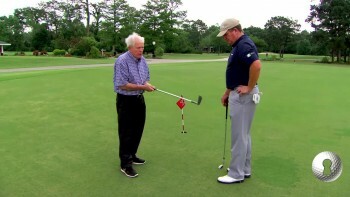 He shows us the secret to his success on the green and takes us through a putting drill he constantly practices. Last year on the PGA tour it said, in statistical categories from three feet, it said, you did not miss from three feet last year. Is it that distance right there? I do remember that. I remember like two years ago, I led from eight feet and in. Which would be about here. That's probably about right. So what I'm going to show you is a drill that I work on tirelessly at home. And I do it on the road, on tour. You do it in the house or you got a green at home? I do it either here or at the club where I'm practicing that day. I do it at Randy's or Royal Oaks. But I do this drill. What this drill is, a friend of mine showed me this back in '08, and it's 3, 6, 9, 12, 15 feet. 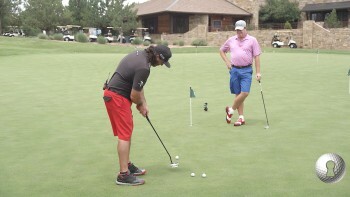 And the key to this drill is you've got to complete so many putts. So start off with I've got to make three 3-footers in a row. Before I graduate to six. Then I'm going to make three, 6-footers to graduate nine. Three, 9-footers to go to 12. Two out of three from 12 feet. And then two out of three from 15 feet. But the key is, if you miss one from three feet, you got to do it again. If you make one, you can stay there. So if you get over 6-footer and you make two out of three, you got to stay there because you got to still make three in a row. Same on nine. If you miss all three from 12, you have to go back to the nine. Now you make three 9-footers again. If you make a 9-footer, you stay. If you miss all three 9-footers, you got to go back to six feet and make all 6-footers again. So clearly it keeps you out there. What does this for me, is you're constantly making 6, 9 and 12 foot putts. You may make two out of three here. When you go to 15 feet, you miss all three, you got to go back to 12 feet. If you miss all three 12-footers, back to nine feet. So I'm constantly making putts. 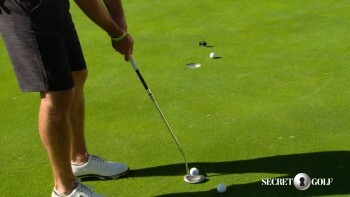 And the key to this drill for me, is not my stroke, it's not my routine, it is constantly watching putts go in. That's the main thing for this drill. Either a straight putt. I'll do right to left and left to rights. However, we decide to do it. 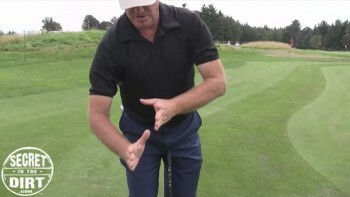 If I have a bad day on the golf course from left to right, I would do a left to right drill putt, James and I. And it may take me 20 minutes. It may take me 45 minutes. But I don't leave until I complete it. And the key to this drill for me is when I do leave, I've completed the task, I've achieved my goal. So in a sense, I won this challenge in my mind. And that's the confidence I can take the next day. So today we've got a little-- I think this might be like a left edge putt. We'll go through it. Don't We could be here for an hour, so you never know. But it could take me 20 minutes, like I said. 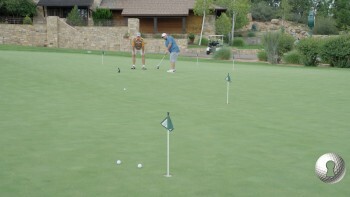 If I do in 20 minutes, maybe I'm not going to do a right to left putt. Or I'll do a straight putt. But I may just leave. I may do in 20 minutes and go, let's go James. I feel good now. I just made, think about it, two out of three from 15, two out of three from 12, threes, I mean, you name it.